Using free data from the European Space Agency, a startup in Finland created a geospatial information service that is entirely enabled by artificial intelligence. AI algorithms are used to remove clouds and track changes in structures on the ground. The service, targeted at government agencies and industries like agriculture and infrastructure, costs about $4,000 a year. It is free to researchers studying the impact of natural disasters. Joni Norppa, CEO and co-founder of the startup, named Terramonitor, says the current AI boom is only the tip of the iceberg. “We’re just beginning our mission to democratize space data,” he tells SpaceNews. 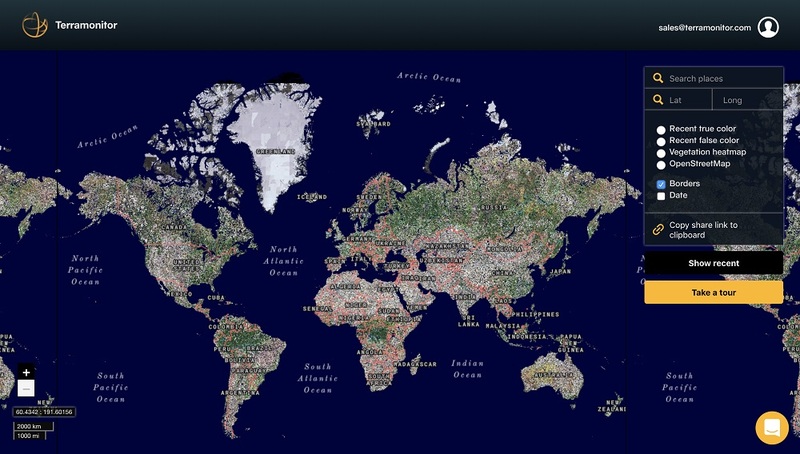 Terramonitor’s AI-based mapping was developed with 10-meter resolution imagery and radar data from ESA’s Sentinel 2 and Sentinel 1 satellites. Norppa: “Companies see the value of satellite intelligence but they don’t know how to get it, and don’t think they can afford it.” Maybe now they can. PENTAGON SHARPENS AI FOCUS As artificial intelligence reaches fever pitch in the private sector, the U.S. government is working to capitalize on the technology. The military suffered a setback when Google decided to pull out of Project Maven, a program that uses AI algorithms to identify targets from drone video streams. Former Deputy Defense Secretary Bob Work, an early champion of AI for military application, said Google’s actions — in response to employee blowback that they did not want AI used to kill people — were “troubling” because they would deter other tech firms from working with DoD. 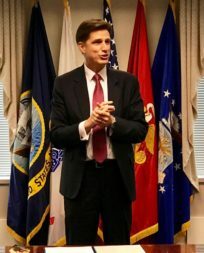 He warned that a rift between the tech industry and DoD is harmful to national security as other countries move to exploit AI and other ground-breaking technologies. speaking at the Center for a New American Security. JOINT ARTIFICIAL INTELLIGENCE CENTER The JAIC will be the Pentagon’s nerve center for all AI activities and will set the agenda for the military services as they plan their R&D budgets. 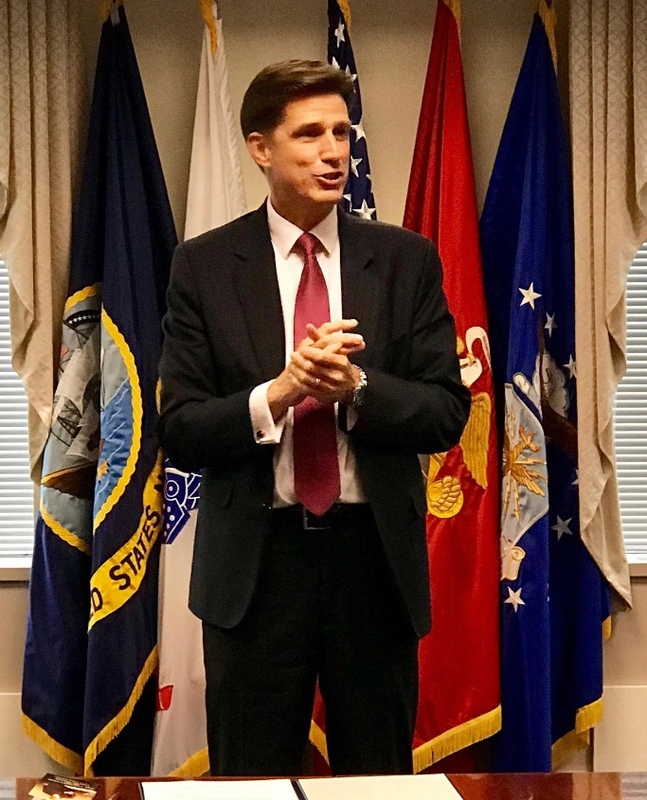 Newly hired DoD Chief Information Officer Dana Deasy will oversee the center. New details have emerged on China’s ambitious space agenda, including plans to develop super-heavy-lift and reusable rockets. 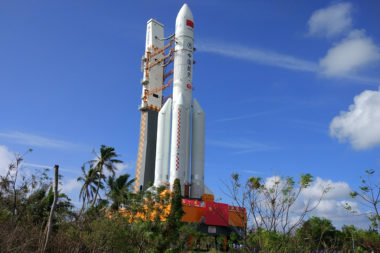 As Andrew Jones reported in SpaceNews last week, the Chinese envision Long March 9 to be a Saturn 5-class super-heavy-lift rocket comparable in capacity to the Space Launch System currently in development by NASA. Long March 5, China’s largest rocket so far, debuted in 2016 and last July suffered a first stage engine issue that prompted a redesign. A third flight of the rocket is expected in November. Long March 9 would be ready for its first test flight around 2030. These revelations should be of great concern to the United States, warns industry consultant Loren Thompson, of the Lexington Institute, a think tank funded by defense contractors. “China’s military probably has plans for Long March 9. Plans that don’t include sightseeing on Mars,” Thompson tells SpaceNews. LAUNCH A STRATEGIC ASSET Thompson echos similar concerns expressed by U.S. officials like Undersecretary of Defense for Research and Engineering Mike Griffin, who has argued that heavy lift is a strategic capability with enormous national security implications. Rocket technology can be applied to ballistic missiles and satellites. A new manufacturing plant on Florida’s space coast will manufacture satellites for Airbus’ joint venture with broadband startup OneWeb. Airbus hopes the investment will position the company to win military contracts. The big selling point will be the speed of the assembly line. 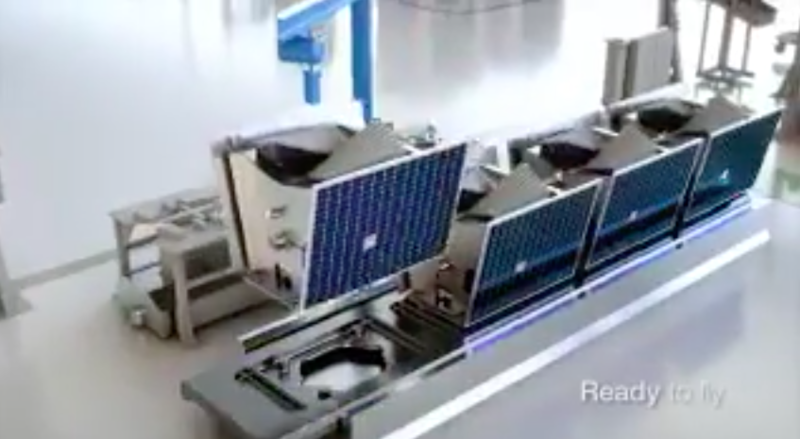 The military is becoming more interested in LEO constellations of small satellites as a more resilient alternative to large, monolithic platforms in higher orbits. In a conflict, if U.S. satellites were targeted by lasers or electronic jammers, new ones could be quickly produced and launched. 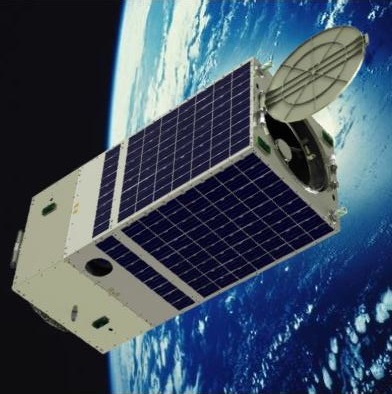 The Army’s new Kestrel Eye remote-sensing satellite has been in orbit for a few months. A selected group of soldiers is learning not just to operate the satellite but also to support imagery requests from the battlefield. “We are training the soldiers from the start,” Army Space and Missile Defense Command engineer Matthew Hitt, said in an Army news release. Soldiers will have a “fundamental understanding how Kestrel Eye works, not just how to request something from the satellite. And they will be able to convey that information when they go back to their unit.” The Army estimated that using a microsatellite requires a smaller logistical footprint in the field when compared to an unmanned aerial system. SpaceNews Inc. will use the information you provide on this form to be in touch with you and to provide updates and marketing.